It was a rainy and stormy overnight in Rocky Mountain National Park. As morning approached, fog had built up in the valley and it seemed as if the rain may begin again. 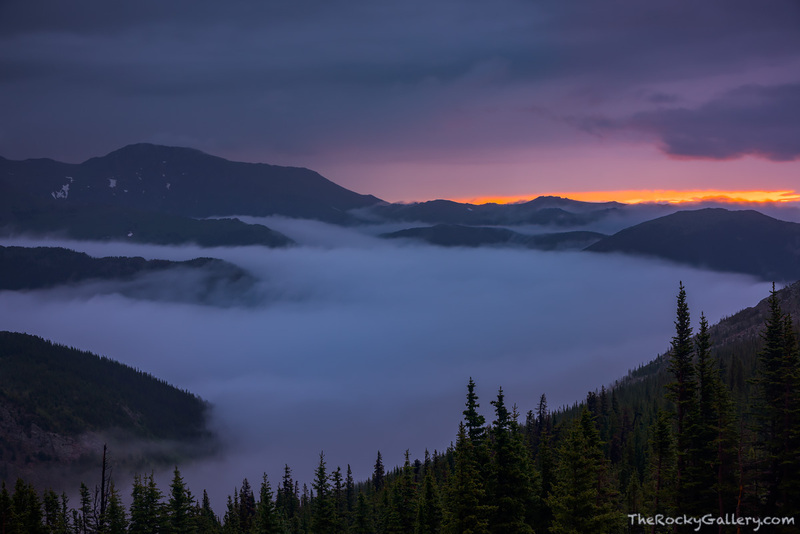 Before dawn, light on the high plains of Colorado began to illuminate the sky over Rocky Mountain National Park. Above the clouds on Trail Ridge Road, subtle colors sunrise show above the lower elevations of Horseshoe Park,Fall River and the Hanging Valley which were all still covered in fog and mist. Photo © copyright by Thomas Mangan.